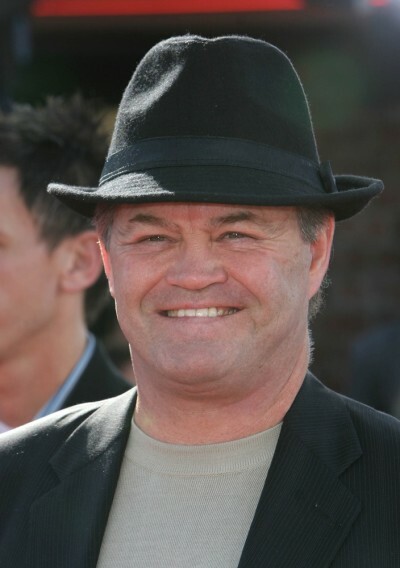 Micky Dolenz is an American singer, musician, actor, television director, radio personality, and theater director. He is the lead singer and drummer of the rock band The Monkees, a band whose members have included or include Davy Jones, Michael Nesmith, and Peter Tork. Micky is the son of Marie Janelle (Johnson) and actor George Dolenz (born Jure Dolenc). His father was born in Trieste, Austria-Hungary (now Italy). Micky is the father of actress Amy Dolenz. Micky’s paternal grandfather was Josip/Giuseppe Blaž Ivan Dolenc (the son of Franc/Franciscus Dolenc/Dolenz and Vilma/Wilma di Kendler). Franc was born in Podnanos, Slovenia. Vilma was born in Gorizia, Italy, and had German ancestry; Gorizia was home to a significant German community. Micky’s paternal grandmother was Gemma Fragiacomo. Gemma was born in Austria-Hungary, of Italian descent. Micky’s maternal grandfather was Uncas Johnson (the son of William Edward Johnson and Emma Miller). William was the son of David Johnson and Nancy Caroline Hopkins. Emma was the daughter of Henry Miller, who was Swiss, and of Katrina, who was born in Bohemia, Czechoslovakia, of German descent. Micky’s maternal grandmother was Mene Marie Hamby (the daughter of Charles “Charlie” Henry Hamby and Nancy E. Braddock). Nancy was the daughter of Joel Duverne Braddock and Lucy A. Cavendish. So “possibly” can be removed. Micky’s maternal grandfather was Uncas Johnson (the son of William Edward Johnson and Emma Miller). William was the son of David Johnson and Nancy Caroline Hopkins. Emma was the daughter of Henry Miller, who was Swiss, and Katrina, who was born in Bohemia, Czechoslovakia, of German descent. The reason why I think Katrina had German ancestry is that Emma Miller’s mother’s birthplace was listed as “Germany” on the 1920 Census. Micky’s father was actor George Dolenz, born as Jure Dolenc in Trieste, Austria-Hungary (now Italy). Micky’s wife acted too.